This might date me, but do you remember those claymation shows we got to watch as kids? The stop-motion filming? Well, tonight, you can see a brand-new old-school TV show with good old fashioned stop-motion animation. NBC's show "Community" is airing a special Christmas Episode tonight at 8pm EST/7pm CST. 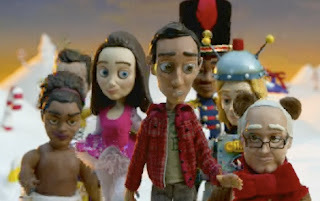 When Abed (Danny Pudi) wakes up in stop-motion animation, he takes it as a sign that he and the group must re-discover the meaning of Christmas. Meanwhile, Jeff (Joel McHale) and Britta (Gillian Jacobs) become growingly concerned about Abed's mental health and enlist the help of Professor Duncan (John Oliver). The group undergoes hypnosis to explore Abed's winter wonderland and soon unravel the truth behind Abed’s madness. Chevy Chase, Yvette Nicole Brown, Donald Glover, and Ken Jeong also star. I had the opportunity to preview this episode. While I don't usually watch the show, it was a really cute episode. I think regular viewers would enjoy it more than I did, but I did enjoy just watching the stop-motion animation. It took me back to my childhood. Some parts were cute and a few were not so cute to me, but overall, it was fun to watch. If you have time, join in the stop-motion animation fun! Overall, it was cute and while it's modern, it brought a little nostalgia to my Christmas season. 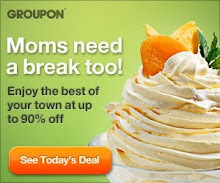 Disclaimer: This is a One2One Network review. I was entered to win a HD Camera for my review.